Like most micro FPV drones, the HBX64 also features ducted blade protectors. 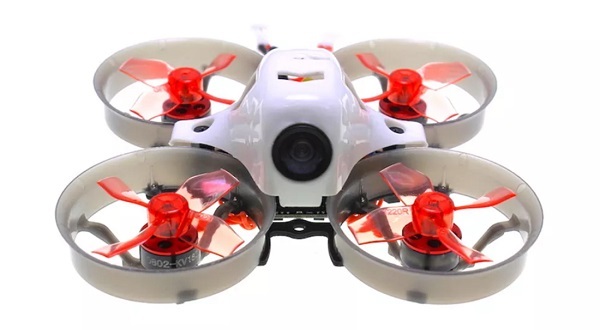 In addition to the better motor efficiency, the Whoop design also makes the aircraft much safer for indoor practice. The 16000KV brushless motors are equipped with 4-leaf propellers and driven by 10A BLHeli_S ESC. 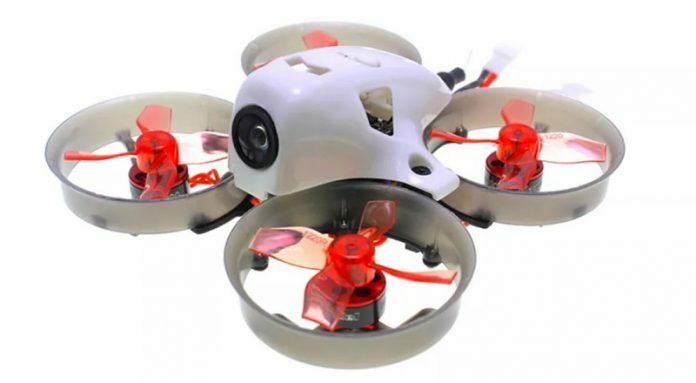 According to the advertised specs, the HBX64 quadcopter has about 3 minutes flight time with 2s/250mAh battery and up to 6 minutes with 2s/450mAh one. In front of the HBX64 drone there is a 800TVL camera with 150 degree field of view. Thanks to the SmartAudio, you can adjust bands/channels and transmission power remotely. Optional FS-RX2A, DSMX Pro or FrSky D8 radio receiver.